Picture of a Warming World. 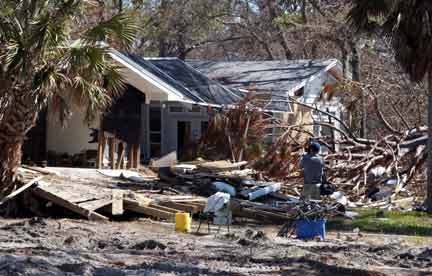 A hurricane-damaged home in Gulf Breeze, Florida. Scientists suggest that climate change may be leading to più devastating and più frequent natural disasters.. Wallpaper and background images in the Global Warming Prevention club tagged: global warming hurricane ivan.